In the past time, when no car or bus or train invented as the way for transport, people use to travel by walking. They walk cross country for business, travel or to gain knowledge. When you are in Italy, you should walk and enjoy the beauty of the historical buildings and interact with local people, for an unknown story, which is not written in the books. Ravenna is a city in Italy which is well known for its ancient churches, museums, natural parks, and joyful amusement parks. It is not easy to travel Ravenna through walking. But if you have the courage, you too can walk around the city. Accordingly, some travel guidelines you can roam Ravenna by foot to see only museums and churches at a little distance. Arian Baptistery made by King Theodoric. A walk in the city center through Piazza Del Popolo. Departure Point: At Railway station or in shuttle bus stand. Departure Time: At 10:00 A.M.
Inclusions: Private tour with the professional guide. Entrance fees would be paid at the entrance. Keep the water bottle and dry food and other necessary things (like medicine, maps). Transportation cost should be paid at a perfect time. Take entry to each visiting places with the right price of a ticket. For further in formations and help contact your experienced guide. In the case of Churches, there is a dress issue. So any small dresses will not be allowed. From October-March most of the sites closed at 5:00 P.M.
From April-September most of the sites closed at 7:00 P.M. The fare for cabs, buses or any transport cost entirely depends personally. There must be full refund before the advanced booking of 24 hours of journey. The charges of the guide must be paid at a time. The fees of a walking tour in Ravenna are different and depends on the season. You should check the prices online here. 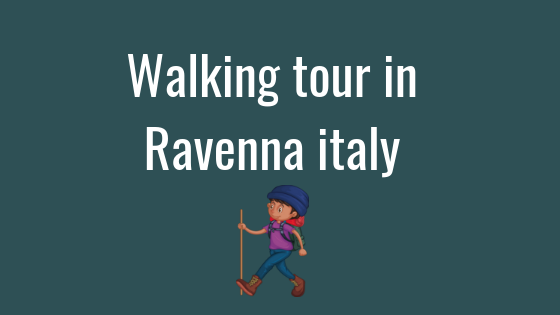 Through the above information’s, it is clear that not only through the transport tour, but also by walking Ravenna can be completed from one side. It is also inspiring for a teen to feel every moment clearly by gazing at the sights. It is lovely in the evening when Ravenna switch on a yellow light, and it becomes a crafty environment with the structures. Moreover, it is being said that if the walking tour completes of visiting churches and museums, then there are a lot of days to compete Ravenna tour by spending time in Natural Parks and Amusement Parks. As you start walking for the whole day, the fat or energy you burn will be regained by eating delicious Italian local foods. Is not it a great cause!